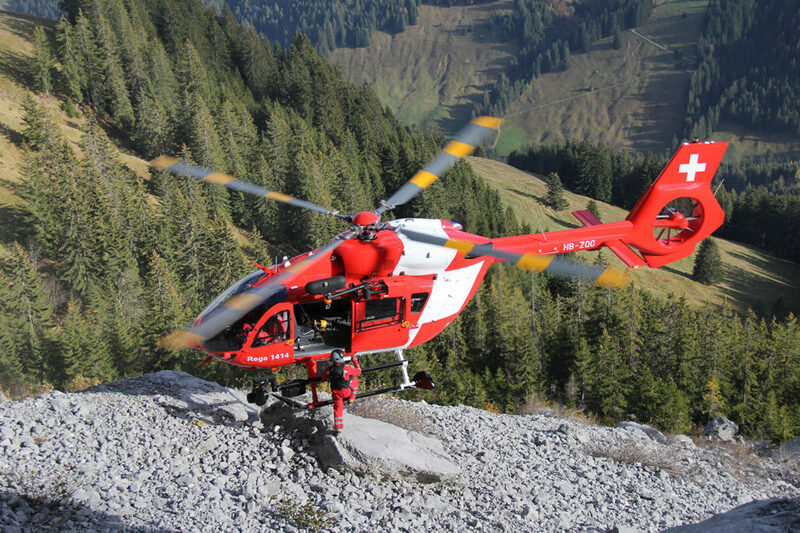 Swiss Air-Rescue Rega has taken the decision to retrofit its entire H145 fleet of seven helicopters to the new 5-bladed version, making them the launch customer for the retrofit of the new H145. Rega is currently replacing its EC145 fleet with H145 helicopters. Six out of seven H145s have already been delivered, with the last one to follow in May this year. The helicopters of the H145 family are in service with the Rega for more than 15 years. The new upgrade of the H145 — revealed at Heli-Expo — embodies Airbus’ approach to value creation through innovation. It boasts several new features that will allow customers to enhance operations: The innovative five-blade bearingless rotor increases the useful load by 150 kilogram, further enhancing the mission capabilities of the aircraft. This new rotor also improves crew and passenger comfort. Other advantages include a smaller D-value, allowing the H145 to operate in more confined areas, simplified maintenance, and an increased availability rate.